Bored to the Board for the third sector is a creative, outcome-focussed workshop designed for charities and the third sector. It’s adaptable to organisations of all sizes and sectors and offers a creative problem-solving focus. Focussing on questions such as ‘how do we define success?’, ‘what are the milestones along the way to achieving success’, and ‘what boosts or perils could we face’, participants build up a creative bank of ideas which contribute to their understanding of the issue at hand. During the workshop we employ a range of exercises to engage participants in defining and understanding their goals. This enables a deep rooted analysis of targets and ambitions, and facilitates breaking them down to gain a valuable understanding of how to go about achieving them. 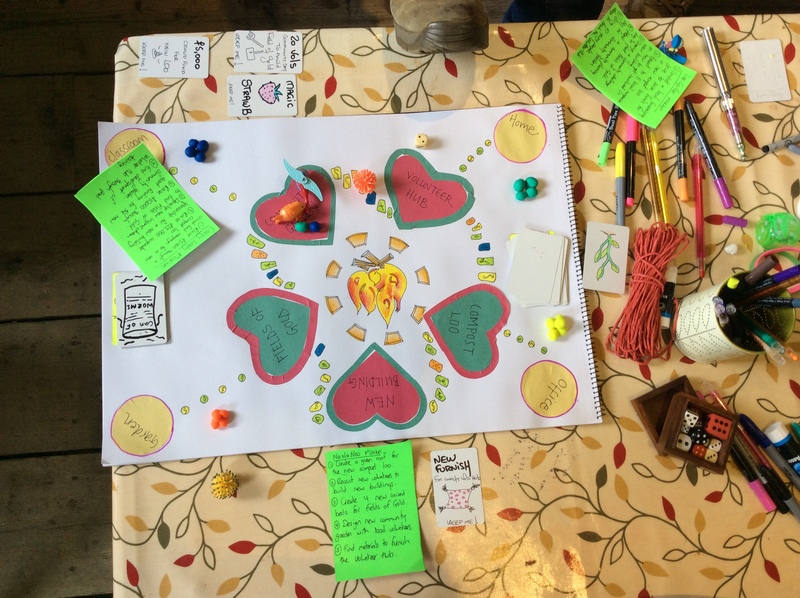 Each exercise builds up creative elements which contribute to the creation of a board game, which participants then work in teams to devise. The creative and interactive aspects mean participants are energised and optimistic about their goals, with a sense that they are possible, achievable, and within their reach. The group work encourages teamwork and peer to peer support, while allowing each person an opportunity to consider their own personal contribution, leaving them empowered to move forward.